An interactive visual of NYC 311 calls. 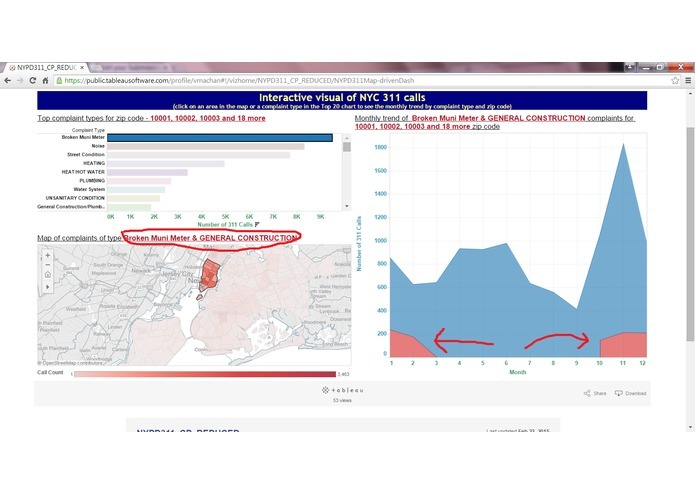 NYC receives 311 calls for non-emergency services from it's residents, businesses and visitors. The response time for these calls is longer than those for emergency (911) calls. Accordingly the resources allocated to these services may not be as highly funded, resourced and/or prioritized as the emergency services. 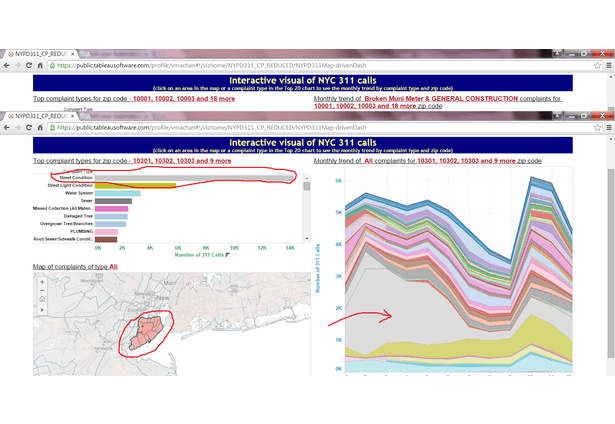 It is why the NYC authorities need to optimize the use and allocation of the resources available to service these calls. 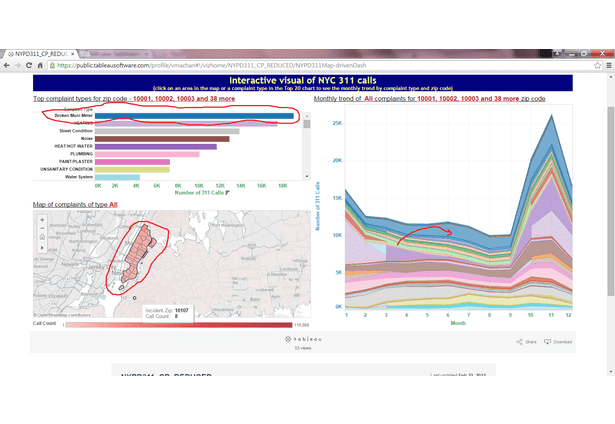 The goal of this visual analysis is to aid the NYC authorities in optimizing the use of the limited resources available to service 311 calls/requests. There are 3 dimensions chosen along which this optimization can be done, time, location and skill type. The data was then summarized and "condensed" to include the attributes needed to "slice" it by the dimensions referred to in the approach i.e. time (month of year), location (incident zip code) and skill set (inferred from complaint type). 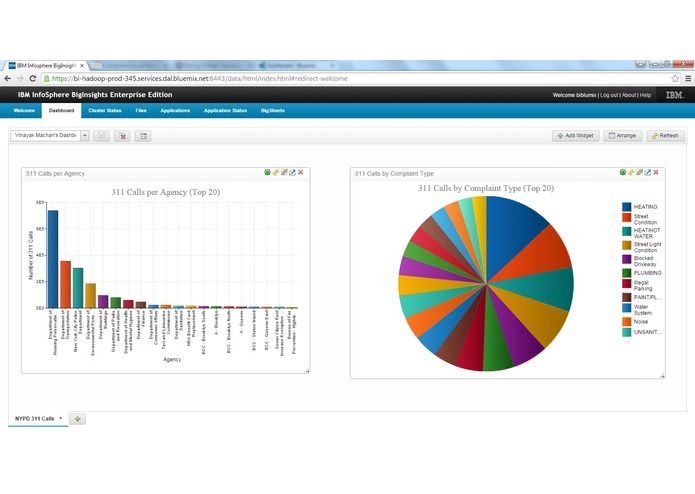 This summarized and condensed data was then uploaded to Tableau Public to visualize it. 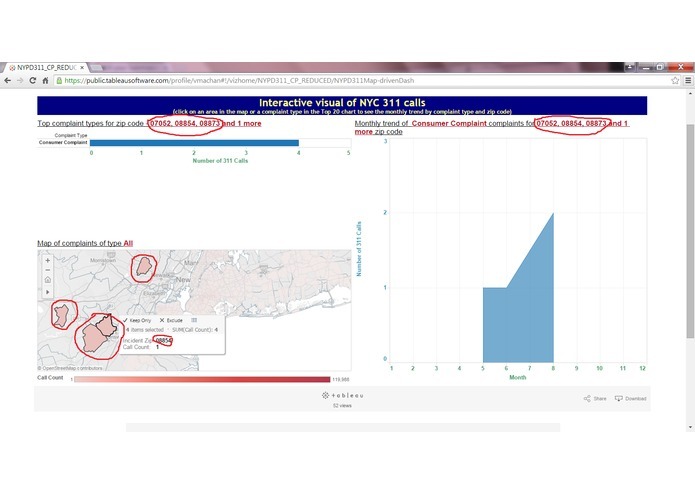 One can dive into specific zip codes and complaint types by using the filtering mechanisms of the map and bar chart respectively. 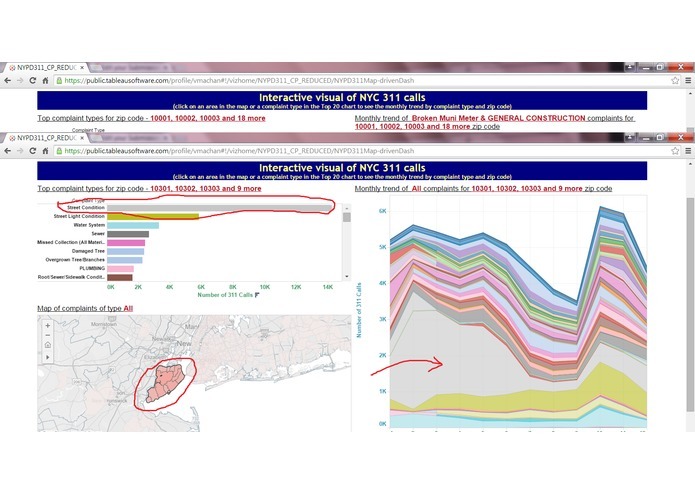 One can also select multiple zip codes and complaint types to see how the call volume trends and/or contrasts Even though these criteria seem to be few the insights provided are quite revealing. 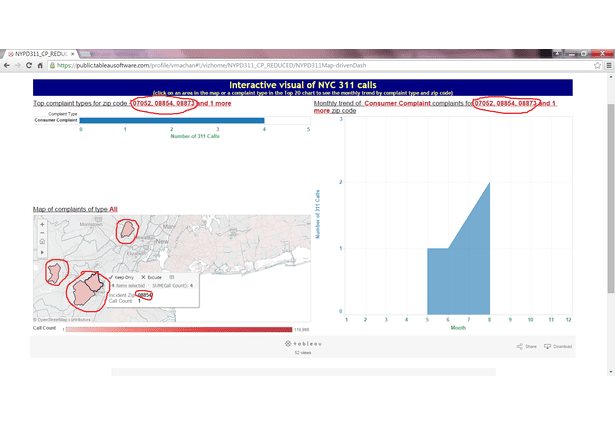 The NYC 311 call data has requests from outside of NYC (e.g. zip codes from New Jersey). 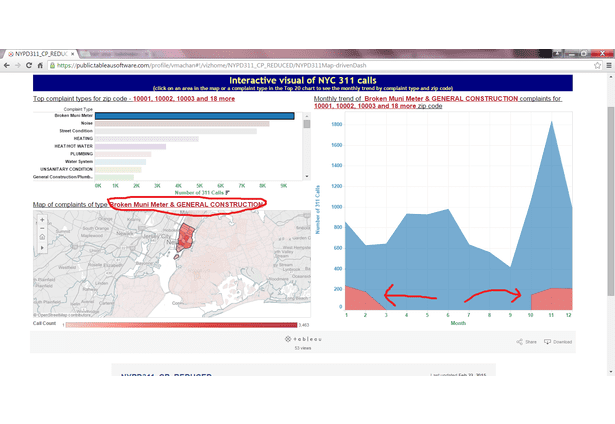 These provide a reason to investigate either the systems collecting the data and/or the policies governing the resources spent on requests from outside of NYC. Even though the call volume for such requests is minimal, the potential changes to the systems and/or governing policies brought about by such findings can have a great impact on the working model of NYC authorities. The above are just a few of the insights obtained without actually having deep knowledge of the workings of NYC departments. when do these occur more frequently.